Since I am a big advocate for “working smarter, not harder” and creating profitability in your practice, several devoted blog/newsletter readers have written in asking about incorporating other professionals into your chiropractic practice. 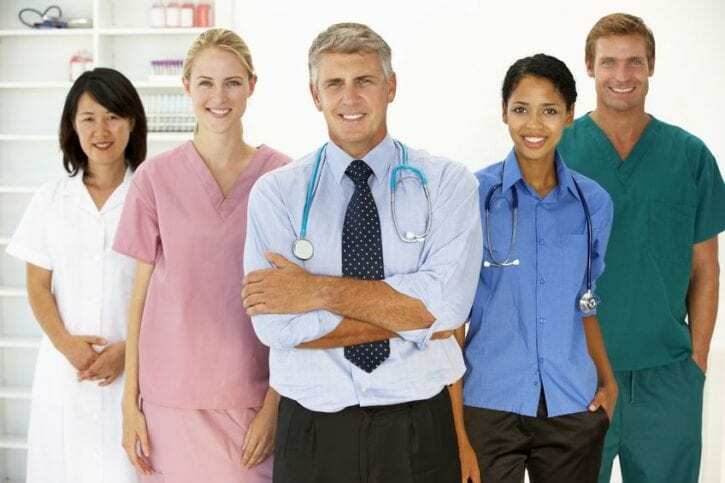 In my own clinic, I have had an assortment of providers over the years, so I speak from my personal perspective and that of interacting with many DC’s across the country in seminars and private consulting. 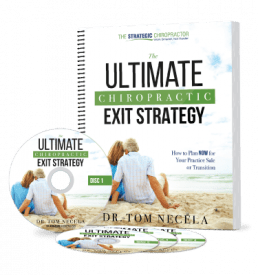 In this respect, I have consulted with clients who have utilized the “usual” stream of practitioners such as MD’s, PT’s, Massage Therapists, Acupuncturists and Nutritionists. Beyond that, I also have seen dentists, colon hydrotherapists, hypnotherapists, biofeedback practitioners, Reiki, craniosacral therapist, Tai Chi, pilates, unnamed energy workers, professional tanning specialists, estheticians and even a practice that employed a hair stylist. Moving even more out of the norm, I’ve seen chiropractic offices located in gyms, smoothie bars, coffee shops, in corporations and yes, even in someone’s basement (we won’t give any specifics about that one). So, before I delve into my evaluation of the specialties, let me first say that virtually any practitioner relationship can work well — if it is a good fit for your practice. By the same token, a virtual “slam dunk” for many DC’s may be a nightmare for your practice, if your two approaches are not in sync with each other. Acupuncture: On the PRO side, most DC’s that have worked with acupuncturists (myself included) note that patients who are willing to try acupuncture seem to benefit from it in areas where chiropractic may have not worked well. In other words, the chronic headache patient that you can’t seem to eliminate headaches with chiropractic may benefit from acupuncture. Post-surgical patients who have contraindications to manual therapy but for whom instrument adjusting is not doing the trick may benefit from acupuncture. In other words, it seems to be a good fit for those patients who we may normally lose. On the CON side, you must consider conflicting “philosophies” of care. In Eastern Medicine, acupuncture is the dominant mode of care, so a traditionally trained acupuncturist may not necessarily want to be your “dumping ground” for problem patients. They believe they are the first line of defense, which then may conflict with your approach. After all, there can be only one person in the driver’s seat. Rounding out my opinion is the NEUTRAL view of their profitability. In the third party system, acupuncture coverage is less common than chiropractic or massage; therefore, in some parts of the country, getting paid for these services is a challenge. Therefore, you need to be careful in the salary you are willing to pay for such a practitioner, as you still want to ensure profitability when all is said and done. Certified Athletic Trainer / Exercise Physiologist / Personal Trainer: PRO –For states with relatively liberal laws in terms of delegation of duties and/or rehab, any one of these professionals can be an affordable addition to your rehab department. If you are looking to expand your practice in the direction of rehab, adding one of these practitioners can be very profitable and they require little space in which to work. CON — navigating state laws may be difficult and you may be limited in what you can actually delegate to these assistants. Proper documentation and set up of billing/coding may be challenging because if it is not structured correctly, all the extra money you make may go in defense of your audit. 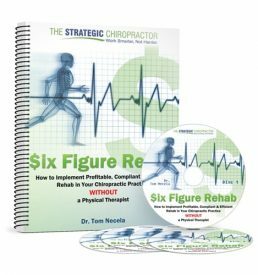 For those interested in developing rehab — without the use of a Physical Therapist — see my 6 Figure Rehab program. CranioSacral Therapy: PRO — this therapy is similar to a very gentle massage, is relaxing and can be effective for those patients who could not tolerate a traditional massage. In many states, these therapists practice under a massage license and bill accordingly. CON — the similarities between CST and massage may be too close for a patient to understand. Since they frequently bill the same codes as massage therapy (and may in fact be a MT), the patient may not understand the difference between the two. Well-trained CST’s are also challenging to find as opposed to a massage therapist who simply took a course on CST and now calls themself a practitioner. Finally, in some areas of the country, insurance companies specifically list cranio-sacral work as investigational and will not reimburse for this service. Dentist: PRO — great potential referral source for TMJ, headache and PI patients with few conflicting paradigms or competition for patients. Generally, dentists who understand chiropractic are glad to refer them appropriate patients for our care. CON — the biggest challenge is finding a dentist who is looking to establish such a relationship. Many require large spaces for their operatories as they see many patients simulataneously. This may make overhead a concern. If you are considering employing a dentist, you should have a large PI practice, a significant specialty practice that sees lots of headaches and TMJ patients and/or a large budget as dentists demand hefty salaries. Massage Therapist: PRO — massage is booming and has been growing at a double digit pace for most of this decade. Patients love massage and it is easy to refer patients to a therapist. A good, well trained therapist also will create new patients for the DC, as the cross-referral possibilities are strong. Massage schools are plentiful; their graduates want to be busy and need a referral source so DC’s are considered prime employers. Reimbursement is excellent in many parts of the country. Many insurance plans offer massage benefits and this trend is improving. CON — Entry requirements are minimal and training levels for massage schools vary widely so maturity level of massage graduates may also vary widely. Good hiring practices are needed to help screen for successful candidates. For those interested in massage therapy, you should consider my Build a $300K Massage Program in Your Chiropractic Clinic as a resource to use for developing a profitable massage practice within your office. Medical Doctors: PRO — can vastly increase the scope of services rendered in your practice and in turn, create a boost in billings as well. An MD who shares a similar approach to care can be a great convenience for your patients who need traditional medical care in addition to chiropractic. CON — the increased services of an MD often come with a hefty price tag. A DC/MD practice must be legally and systematically structured well to avoid conflicts with Stark Laws and other regulatory problems. The “philosophies” of the MD and the DC must be very congruent or the relationship will not work. Naturopaths / Nutritional Counseling: Although these practitioners certainly are not the same, most DC’s seem to utilize them in a similar manner — i.e. for nutritional (non-drug) approaches to care beyond the scope of our manual methods. PRO — many patients have nutritional deficiencies that are quite complex and that contribute to the reasons they consult us as chiropractors. Having a practitioner on hand who can significantly delve into this area may be of great benefit, especially to the DC who would rather focus energies on adjusting patients. CON — Many states offer little to no reimbursement for Naturopaths or Nutritional intervention performed by non-MDs. Scope of practice laws is also an issue with few states having regulations for Naturopaths. Many of these practitioners also spend significant time with patients during their assessments, which means their volume is low. Careful consideration and proper calculation should be applied to see whether reimbursements would be profitable considering salary and expenditures to have such a practitioner present. Physical Therapists: PRO — as above with ATC and Exercise physiologists, incorporating a PT can be an excellent addition to the rehab oriented practice. CON — the price tag for PT’s is greater than for similarly trained practitioners such as exercise physiologists. Philosophy may also be an issue as PT’s are trained in manual medicine and may see no need for chiropractic intervention. The above cautions with State law regulations and Stark Law legalities both apply. Clinics that are not busy enough could have the DC provide many of the same rehab services as a PT, without paying for the privilege so profitability and capacity calculations need to be considered before hiring a PT. As you can see, there probably is no “right” choice for everyone and it is important to really investigate any professional that you would have join your office. Hope this article helps in your decision making!